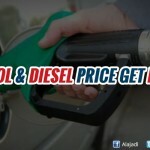 As we know some where in some petrol pumps they cheat us. 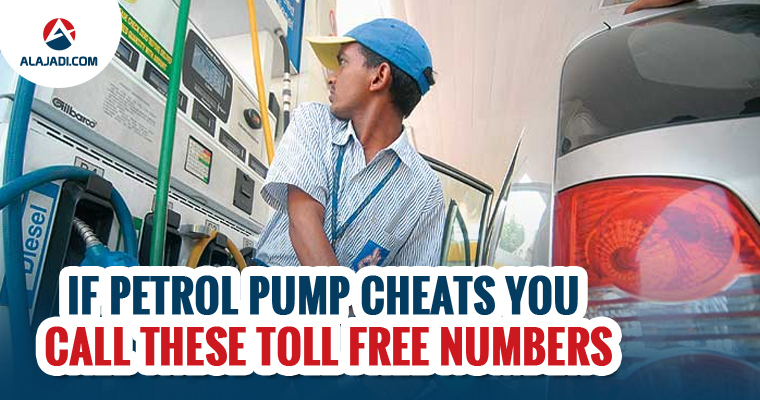 You might be loosing a couple of thousands each year because of this scam which probably goes on at each petrol pump. For example, When you ask them to fill petrol for Rs 1,000 , the attendant fills up the oil only for Rs 200 . When you ask him why he didnt fill up for Rs 1,000 . He will give a innocent smile and say that he heard Rs 200 and he will fill remaining Rs 800 , he resets the meter and fills up another Rs 800 petrol and you pay Rs 1,000 (200+800). Whats the scam here ? The problem is that he never resets the meter to 0 , he continues from the Rs 200 point itself and go till Rs 800 , so in reality you only get the petrol worth Rs 800, but pay Rs 1,000 . 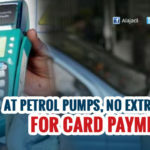 The trick here is that when he says that he is resetting the meter to 0 and moves towards it, at that some moment, another team mate of attendant will disturb you with some question like – “Sir, Cash or Card?” , or “Sir, PUC karana hai kya?” , Or “Sir can you fill up this coupon ?” . As a human tendency – you will have to look at him or hear him and in those 3-4 seconds , the main attendent will start the meter again and by the time you look at the meter, its somewhere near 300-400 , and you feel that the meter has restarted starting from 0 , but actually it was just continued from 200 point only. So you loose Rs 200 here. How to Complain for this Petrol Pump Fraud? IF you feel you are cheated, you can complain about this fraud to the petrol pump company like HPCL, BPCL or IOC. You have customer care numbers of these companies and also web portals for registering complaints online explaining them the exact issue (it can be various issues). Open you fuel lid, only when the meter is reset to 0 . Get out of your CAR and stand next to the person putting fuel, makes it tougher for them to cheat you. 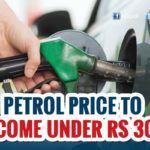 This is happening all over the country of various petrol pump outlets and this can easily be a scam worth thousands of crores rupees, provided there are thousands of petrol pumps in country and millions fill up petrol everyday. The best measure to fight against this is to spread this information to more and more people you know and also be attentive and alert while you are filling up petrol or diesel in your vehicle. Have you ever come across this fraud has it happened with you ?